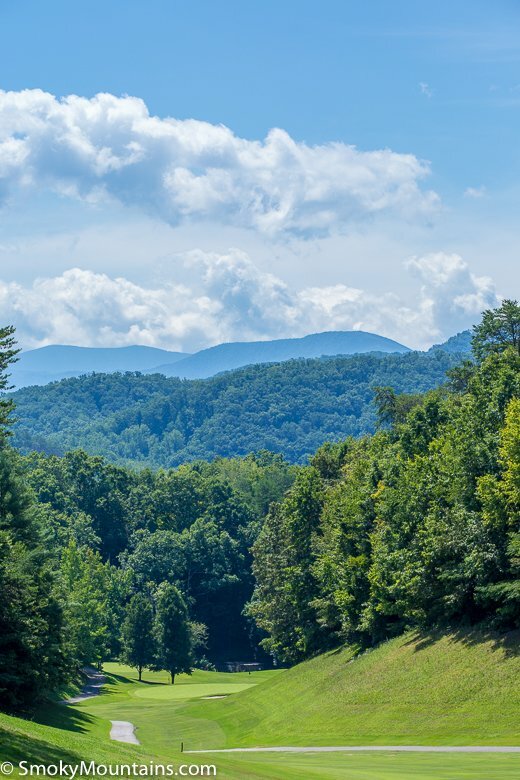 This golf course, which is nestled in the Smoky Mountains, has been widely acclaimed as one of the most picturesque courses in America. 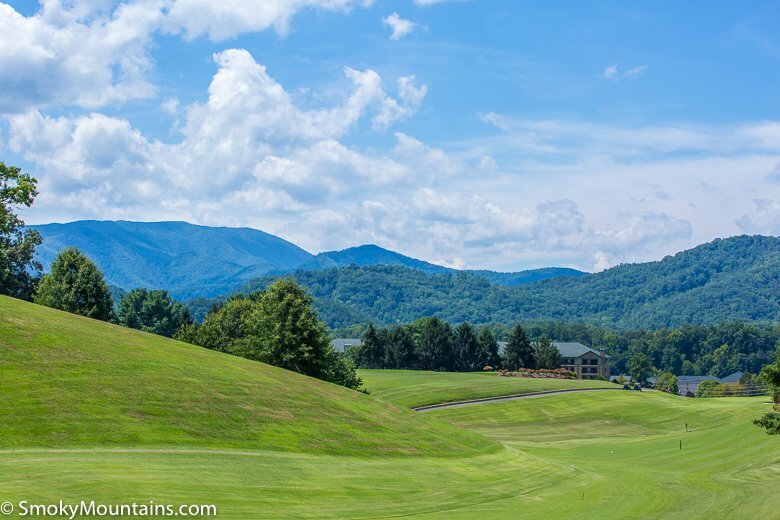 If you want to golf during your vacation, this is the spot. 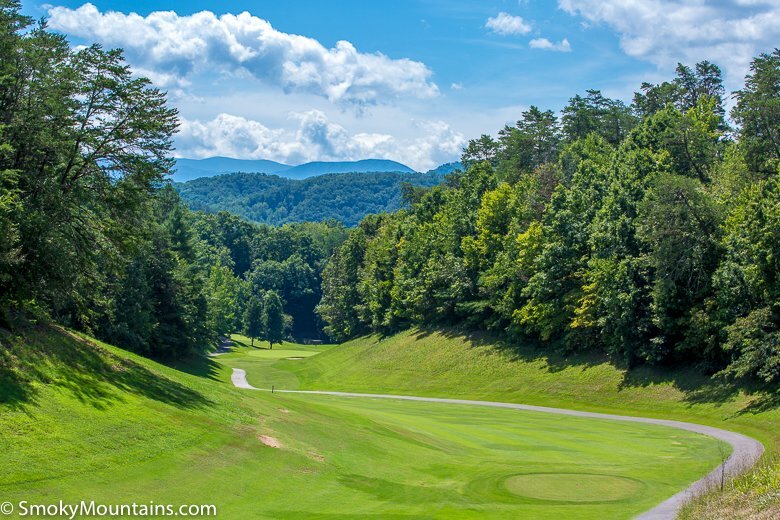 Residents, as well as visitors to the Smoky Mountain region of Tennessee, can enjoy 18 holes of challenging golf amid a picturesque backdrop. The golf course originally opened in 1955 but underwent a full renovation in 1993 and again in 2007. 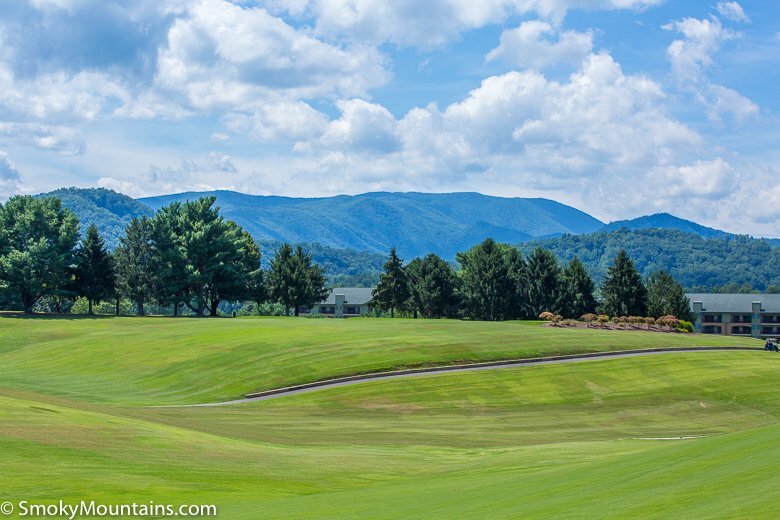 Today, the Gatlinburg Golf Course features lush fairways, well-manicured greens and amazing views. Check in at the Clubhouse for your tee time and to rent clubs if a set is needed. Club rental prices seem a bit higher than other public courses, but tee fees are reasonable for the course. 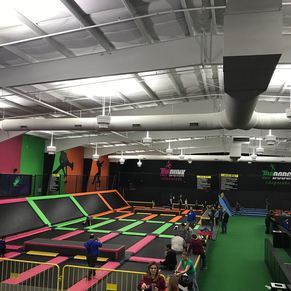 There are tee fee discounts for military personnel, seniors and junior players as well. 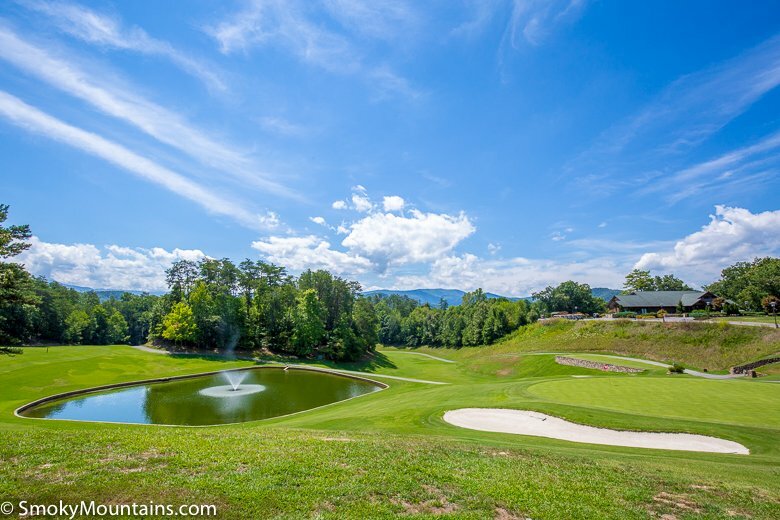 The Gatlinburg Golf Course is family-friendly, and with four tee boxes, players of all abilities will enjoy playing this course. Nothing’s worse than playing a golf course where the holes are poorly marked or the path obscured by overgrown foliage. 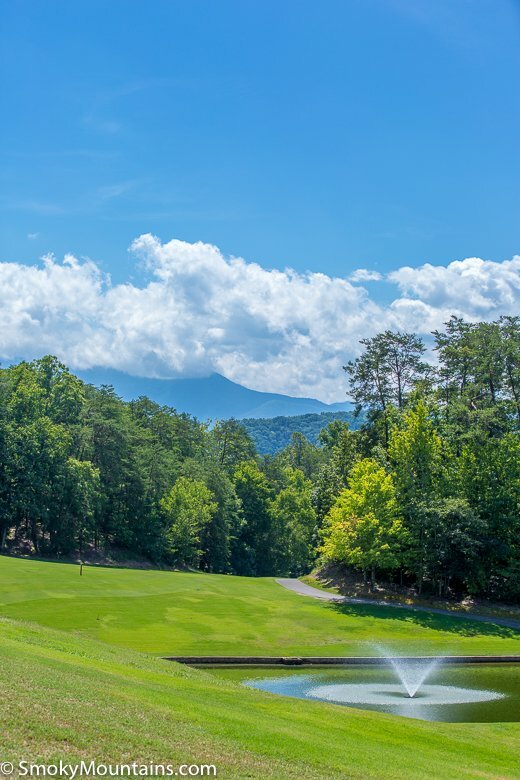 We found the Gatlinburg course clean and each hole clearly marked with an easy-to-read wooden sign that listed the hole number, the yardage from each tee box and featured a colorful map of the hole. 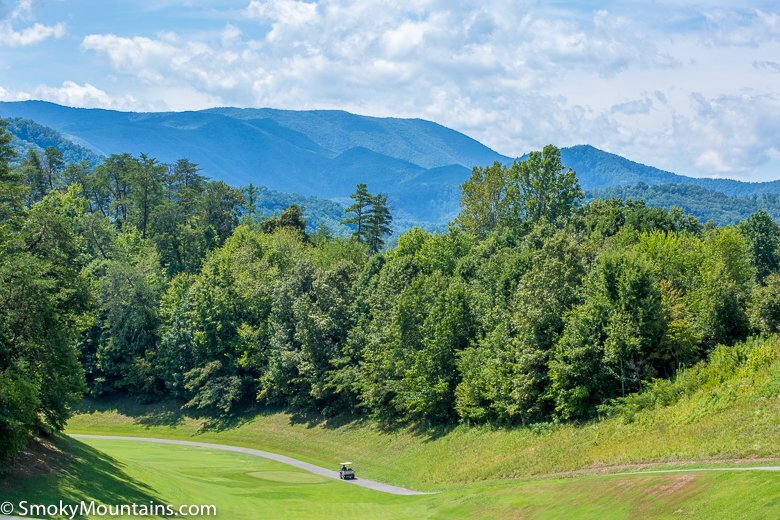 The Gatlinburg Golf Course measures 6,282 yards from the longest (blue) tee box for a 71 par. 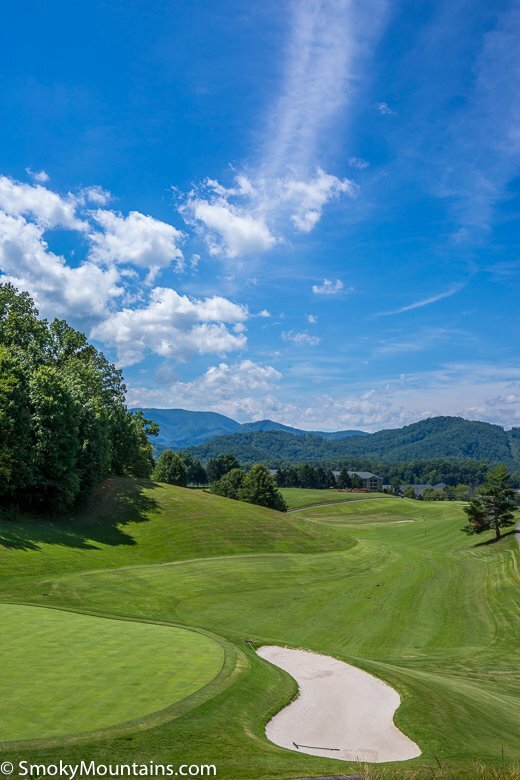 If your golf ball loves to go swimming when you play courses with water hazards, this course may become your new favorite—there are no water hazards on the front nine and only two on the back nine. I find that even on a hole with the smallest water feature, my ball finds its way to the center of the pond. Playing the front nine without having to worry about water was a joy. Overall, the course seemed slightly narrow on a few holes, but nothing that made you feel claustrophobic or caused any major issues. As an average golfer, I recommend if you land in the rough, simply chip it back to the fairway—it’s easier than trying to power forward. The bunkers were well groomed and there are comfort stations between holes 5 and 6 and between holes 15 and 16 on the back nine. 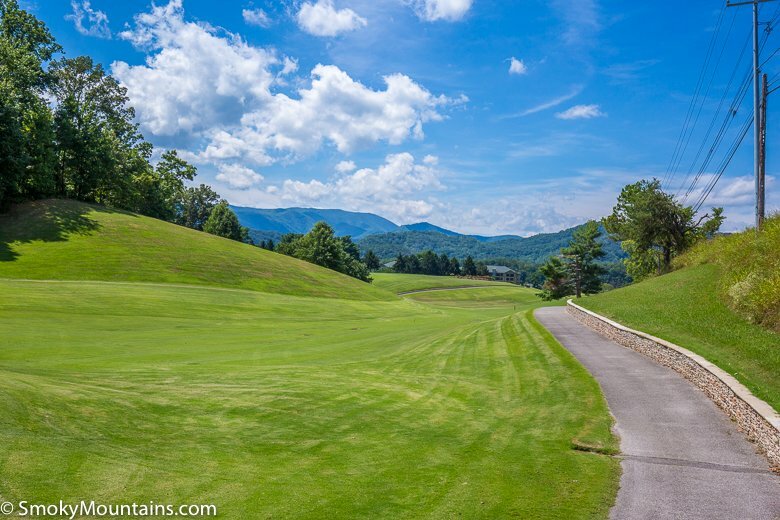 Holes to note at the Gatlinburg Golf Course include hole number three, which measures 529 yards and is a 5-par nicknamed “Long Lane.” On the back nine, two holes were standouts. Hole twelve, called “Sky Hi” may be the most scenic on the entire course. 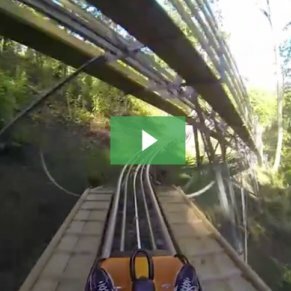 It’s a par 3 that challenges you to hit your drive off a cliff with a vertical drop of more than 150 feet! It was our favorite hole on the course, while hole seventeen was one of the most challenging; another par three but with a miniscule yardage of only 231. 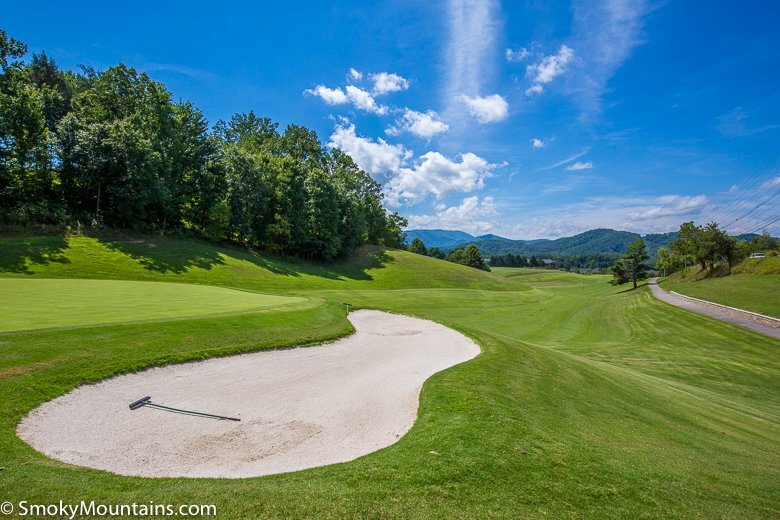 After enjoying a day in the fresh mountain air and playing a full round of golf, head back to the Clubhouse for a bite to eat. The menu is standard golf course fare, ranging from burgers and fries to chicken sandwiches and more. Even though we decided not eat while at the course, it’s nice to have the option if you want to sit a bit and enjoy a sandwich after playing. 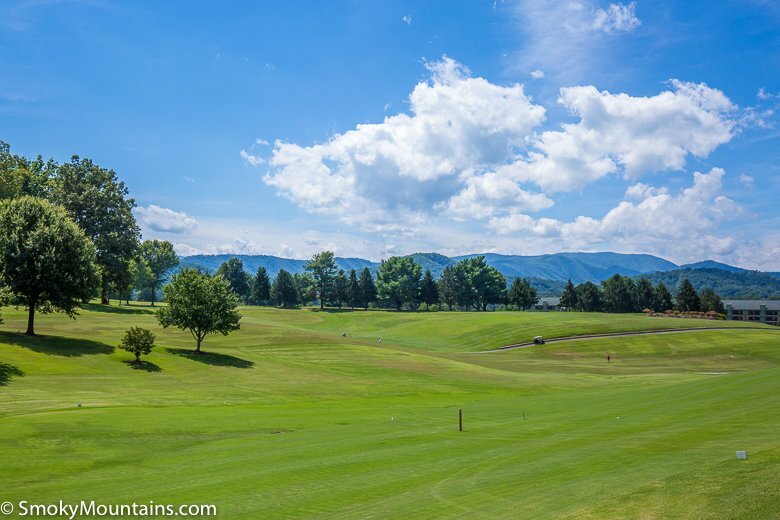 The Gatlinburg Municipal Golf Course is open year-round. 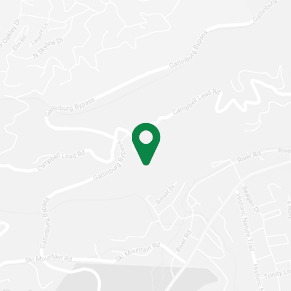 You can book your tee time online, by phone or in person at the Clubhouse. 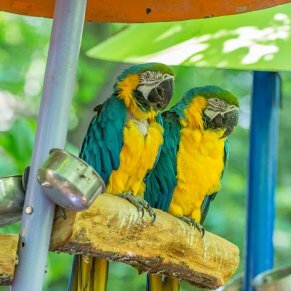 The Clubhouse is open daily from 7 a.m. until 7 p.m.
During prime season (June to October), advance reservations are strongly encouraged. Tee times can be reserved up to 14 days in advance. 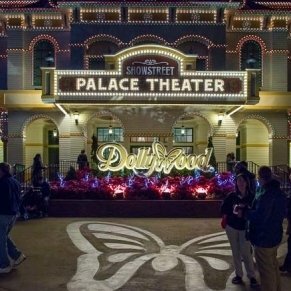 To get to the course, turn off the Parkway (US-441) at Dollywood Lane; there’s a traffic light at this intersection. The golf course property will be on your right. 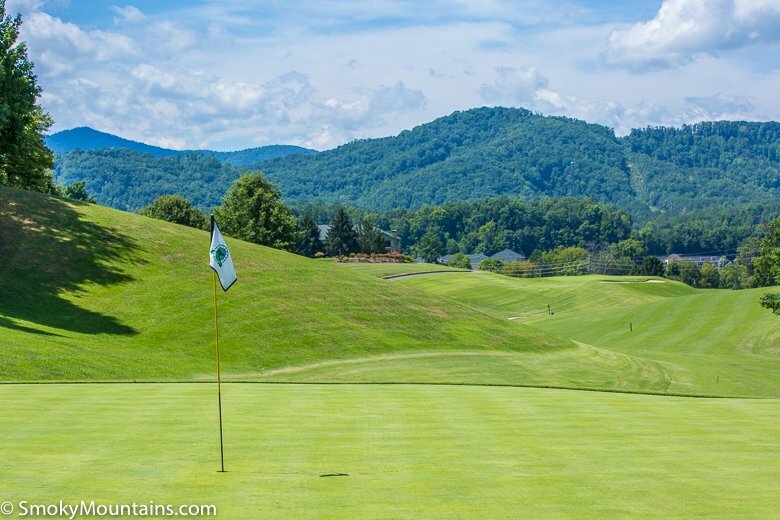 At the entrance, you’ll see a Gatlinburg Golf Course sign set between two pillars of stone. Follow the lane up a slight hill to enter the property. The parking lot is right after the entrance and you can see the Clubhouse from there.